Here we present a beautiful 3 bedroom 2 bathroom detached villa in Turre with splendid views and immaculate presentation. 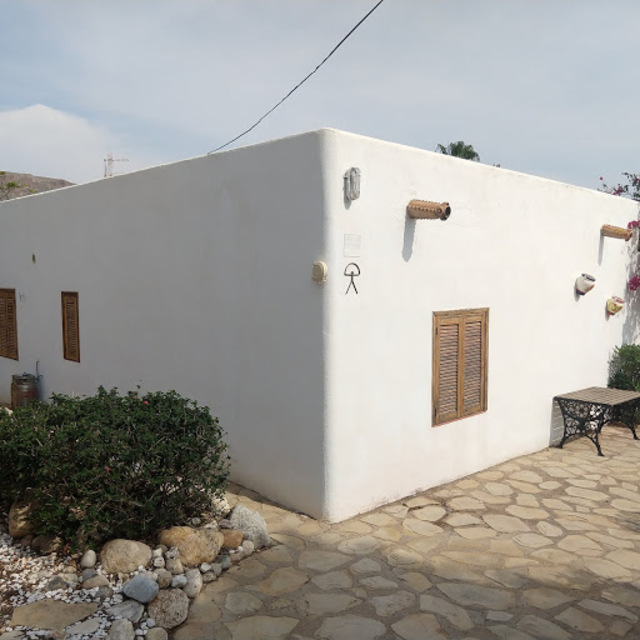 The villa, measuring 100m² sits within a plot of 400m² and is located on the edge of Turre, with all amenities, including bars, restaurants, banks, pharmacies, shops, supermarkets, etc. just a short drive or 15-20 minute walk away. The beautiful beaches of Mojacar can also be reached within 10 minutes´ drive. The plot is secure, fenced & gated with a shaded car port to the side. The front garden is very mature with many established fruit trees and plenty of Mediterranean colour. This front garden is divided from the rear by a wall which offers plenty of privacy around the 8 x 4m pool in the rear garden. The pool area is very well kept; plants and trees border the terrace which is fully tiled for sun bathing. A beautiful, arched terrace faces the pool and this is accessed from the lounge. On the first floor there is a spacious roof terrace offering superb views of the Sierra Cabrera mountains and down towards Mojacar Pueblo. From the roof terrace you access the master bedroom with fitted wardrobes, air conditioning and a ceiling fan. A door then leads out to the landing area with another set of patio doors out to the roof terrace. Across the landing is a family bathroom with full bath and shower above. The stairwell features a curved wall with long windows affording plenty of natural light. The stairs then lead down to the ground floor. On the ground floor you will find a lounge/diner with log burning fireplace, ceiling fans and patio doors out to the covered terrace. Next is the modern kitchen which has been very cleverly extended to include a utility area and additional storage. This kitchen is a real feature of the house. Through an archway, the utility & storage area has a door out to the side garden. An archway from the lounge then leads to two ground floor bedrooms with fitted wardrobes & ceiling fans. In between these two bedrooms is a modern, re-fitted family shower room with a huge walk-in shower cubicle, glass screen and vanity unit. The ground floor is equipped with a ducted air conditioning system throughout. The front door, in the lounge, then leads out to an elevated terrace, again with splendid views.